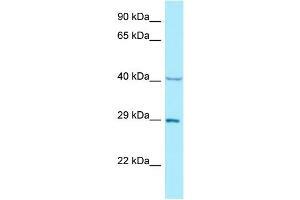 Characteristics This is a rabbit polyclonal antibody against NCK1. It was validated on Western Blot. Background The protein encoded by this gene is one of the signaling and transforming proteins containing Src homology 2 and 3 (SH2 and SH3) domains. It is located in the cytoplasm and is an adaptor protein involved in transducing signals from receptor tyrosine kinases to downstream signal recipients such as RAS. Alternatively spliced transcript variants encoding different isoforms have been found.